“It’s our privilege to support you on your wellness journey. Living the Bestow way is a beautiful way to live. We know you’re going to love it.” ~ Janine Tait. LOX is the birthplace of Bestow, a skin nutrition wellness brand that is capturing attention all over New Zealand and Australia. 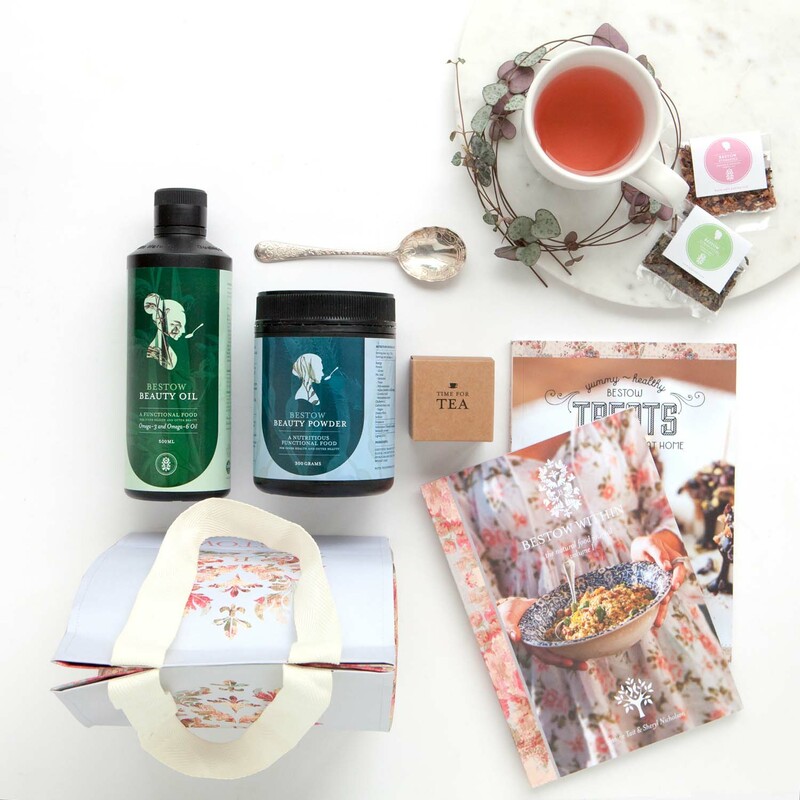 Bestow offers a beautiful range organic super-food blends, recipes and rituals to nourish skin from within. Your skin is a reflection of your life, mirroring the quality of your diet, lifestyle and wellbeing. The Janesce products that you apply topically are vital, but true skin transformation is only possible when we also work from within with skin nutrition. Your skin needs a wide range of nutrients in order to thrive, heal and resist premature ageing. Dull, inflamed or spotty skin is an indication that you are not getting enough of the nutrients you need for skin health, or that poor diet is working against a clear, glowing complexion. In 2010, LOX founder, Janine Tait, combined her two super-powers as a dermo-nutritionist and skin-health expert to develop the Bestow product range and philosophy. 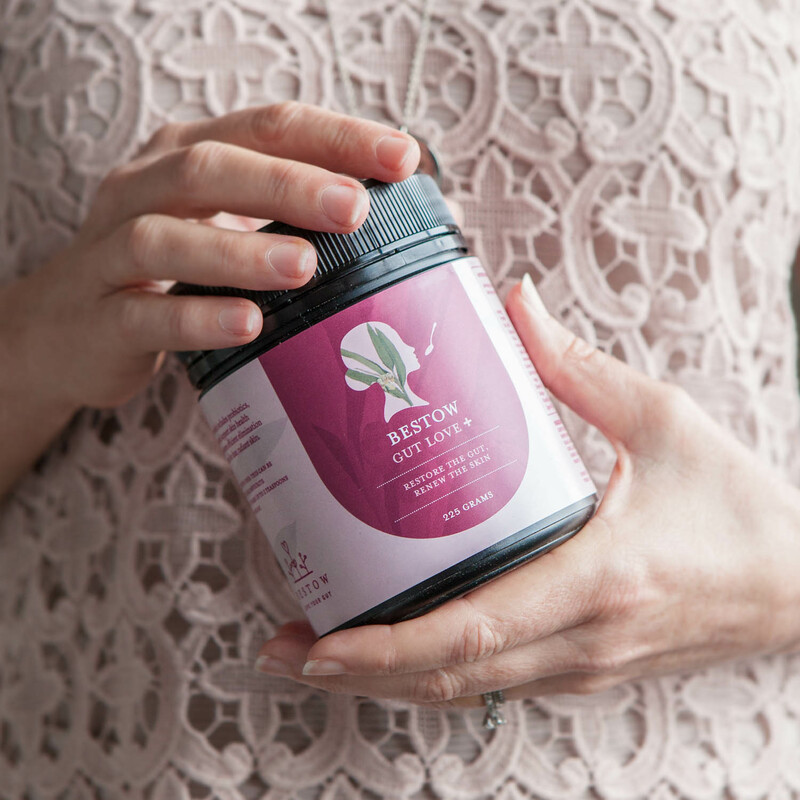 Bestow Skin Nutrition Blends lay a vital foundation for beautiful skin, providing the essential nutrients and EFA’s the skin needs on a cellular level. Bestow Recipes and Rituals guide you on a wellness path, helping you to embrace a healthy lifestyle that supports beautiful skin. We recommend all LOX clients take the Bestow Twin Skin Essentials to provide the fundamental nutrients required for beautiful skin. Between them, Bestow Beauty Oil and Bestow Beauty Powder are absolutely foundational to skin health. That’s why we call them our Twin Skin Essentials. BESTOW BEAUTY OIL moisturises your skin from within. Rich in EFA’s, it helps to clear congestion, makes your skin feel soft, smooth and velvety and gives it a natural, luminous glow. 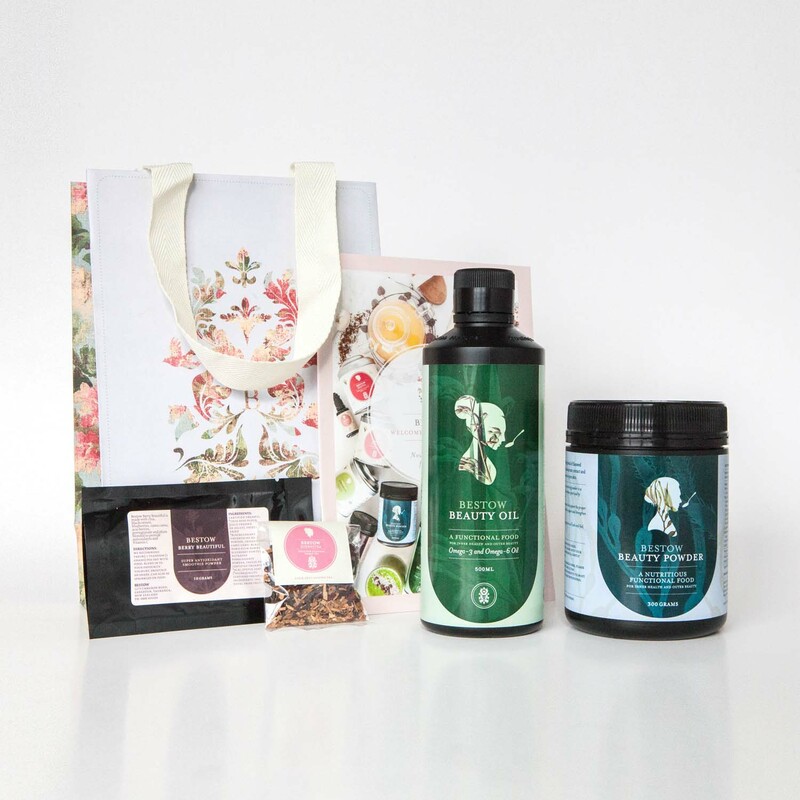 Make a beautiful beginning on your Bestow wellness journey with this value pack which contains the essential products you need for skin nutrition and to embrace positive changes in your diet for the sake of your skin. BESTOW TREATS I RECIPE BOOK offers healthy sweet treats. Have a sweet tooth? These skin-friendly, refined sugar-free recipes are nutrient rich and truly satisfying.